Although forced evictions are not new to Kenya’s Sengwer community, in December 2018, the Kenyan Forest Service started a new campaign to evict families from the Embobut Forest — their ancestral home — thereby resulting in conflicts and 341 houses being burnt, says a report by Amnesty International published in May this year. The Sengwer community in Embobut Forest is now using “This Is My Backyard” (TIMBY), a set of interconnected digital tools, to document and, boost negotiations to resolve land conflicts. Earlier this month (1 October 2018), TIMBY received almost $200,000 for being one of top five ideas for the 2018 BridgeBuilder Challenge organized by the GHR Foundation in collaboration with OpenIDEO, an organization that uses the power of crowdsourcing to solve global challenges. TIMBY and the other four winners were selected from more than 675 global submissions, says the GHR Foundation. Through the new funding, TIMBY is being used to equip the indigenous Sengwer community and the Kenyan government to a create a digital reporting system to document issues such as forced evictions, compensation payments, consultation meetings and sustainability of the Embobut Forest. According to Anjali Nayar, TIMBY founder, the idea for the tool was mooted in December 2011 during her first trip to Liberia, but it was in 2012 that its development started. “At that time and I was very aware that most of the stories that came to me (even as a journalist in the region) were once damage was done,” Nayar said. “Over time we’ve also built a lot of features, including maps on phones, a grievance system to log issues that must be responded to and more storytelling functionality.” said Nayar. Although technology and innovation cannot solve problems on their own, they can help make systems such as evidence (collection) more efficient. “Technology can help shift the conversation to whether something is happening and what to do about it. It can also help keep the groups on the ground safe through encryption and security alerts in times of problem,” Nayar explained. Justin Kenrick, senior policy advisor at Forest Peoples Program, says the app being deployed in Kenya is a way for civil society actors to support communities’ land rights. “TIMBY contributes to the new scientific approach to forest conservation, which is not about forcing people off their ancestral lands at gun point, but about recognizing ancestral forest dwellers’ knowledge, skills and commitment to protecting their forest lands,” explains Kenrick. 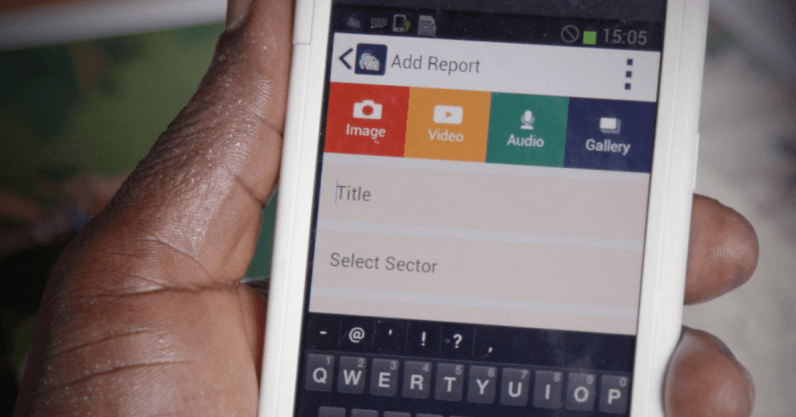 Elias Kimaiyo, Sengwer community leader who-uses the app – urges policy makers to embrace this new digital tool that will not only help in monitoring human right violations but also monitoring general land use. Nancy Kiplimo, who was born and raised at the Embobut Forest, applauds the tool and says this could help her return to where she was born before being evicted and their property being destroyed.